A shuttle service is the most convenient way to travel between hotels in Costa Rica; these services connect the main Tourist Destinations in an easy and reliable way, with no hassles or worries. The units do not allow smoking, with air conditioning and few passengers. It's main advantage is it's low price, as the name implies it is shared, the charge is per person, and it has a schedule. It must be booked well in advance; when you are making your reservation, you will receive a confirmation e-mail, with all the details of the transportation. Are there special seats for children or babies? Of course, we have booster chairs and baby carrier for children, no additional cost. It is very important that you select your device in the options of booking. In Costa Rica is mandatory, that babies and children less than 10 years of age travel in their respective seats. I have not received any e-mail confirmation. What should I do? Usually it is a problem with the spam, please check your junk folder, also check if you entered your email correctly; If this does not solve the problem, an Interbus representative be sending you back, the confirmation email. How I can change or cancel a reservation? To modify or cancel a reservation, please contact the customer support department to web.support@interbusonline.com, or if you prefer call to +506 4100 0888. Can I use two different routes on the same day? Sometimes the customers need to get from one to another side of the country, and do not have a direct route, but we have routes that connect with San Jose city, if this is your case, you must take into account some details like, schedule and the waiting time between arrival and departure, offered in each route, and check if the travel time is appropriate to your needs. No; it is not necessary to print your booking confirmation, our driver will get to their meeting, as stated in i'ts confirmation. For security reasons we do not accept cash. All reservations must be paid before your service date. Can you pick me up at the Juan Santamaria International Airport? Interbus offers pick up at the airport only for Transfer In (from the airport to the metropolitan area hotels) on our shuttle routes to different destinations in Costa Rica, the nearest pick up place is Denny's Restaurant, its located about three minutes from the airport, in this case you can find a taxi or in the airport we have an office, its located in the Baggage Claims Area beside carousel #5, there our team there can help you to find the transportation to the restaurant. .
What is the airport transfer (In / Out)? Our airport transfer is an economical, safe and comfortable way to travel from the Juan Santamaria International Airport to the metropolitan area hotels. The airport service is available for flights arriving and departing the airport from 04:00 am to 23:30 hours, you must reserve in advance; availability is guaranteed 72 hours in advance. How I can find my transportation at the airport (Transfer In)? Interbus has an office within the airport that operates from 6:00 a.m. to 23:00 p.m., this is located in front of the luggage carousel # 5; there a representative will meet and guide you to our units; they always carries a sign with the name of the client, or carry our uniform with the Interbus logo. Be careful at the airport, there are many vendors in the hallway; we recommend you do not stop to talk to them. If for some reason you cannot find our representative, please contact us by phone or email. We are not responsible for any other company or i'ts shares. How will I find the bus at my hotel? Our driver arrives at the lobby or reception; he identifies himself, and asks for passengers; when found, they are taken to the vehicle, and helped with their luggage. Can you pick me up at the Daniel Oduber International Airport in Liberia? Interbus don't offers pick up at the Daniel Oduber airport; on shuttle routes to different destinations in Costa Rica, the nearest pick up place is the Hilton Garden Inn hotel, located about three minutes from the airport, you should to take taxi from the airport to the restaurant. What are the capacity of the vehicles? Interbus uses units of 15 passengers, but these units have been adapted to transport 8 to 10 people, allowing greater comfort. The baggage will always be placed inside the vehicle. Every time you use Interbus, is allowed one carry-on and a suitcase; if you have additional luggage or large items should notify to take the reservation. There are no bathroom on board vehicles; however, the travel must be made one or two rest stops, these lasts about 15 minutes, each of these rest stops is performed in restaurants, previously authorized; in these rest stops always has clean bathrooms. 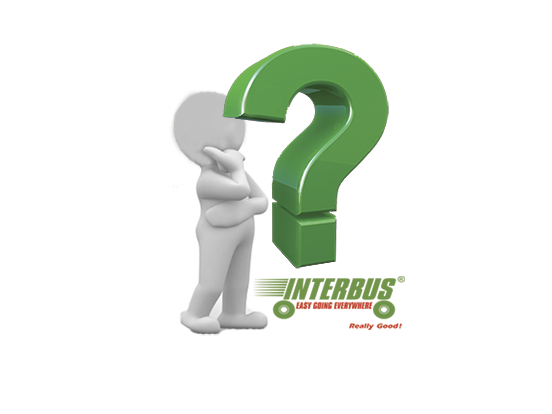 The Interbus routes are direct or have connections? In all our transfers there will be a rest stop for passengers and the driver, this stop may be connection point or vehicle change depending on the destination. Those passengers who need to make connection to continue your journey please be sure to have all of your luggage and personal belongings to leave the minibus; the driver will move your luggage to the next vehicle.